Two months ago, Mayor LaToya Cantrell proudly deactivated 20 red light cameras outside New Orleans school zones. In the meantime, cameras inside school zones were quietly turned into speed traps. Without any warning to New Orleans residents, the previously allowed 5 mph cushion in ticketing from school zone traffic cameras has been removed. The information only came to light when people began taking to social media to complain. 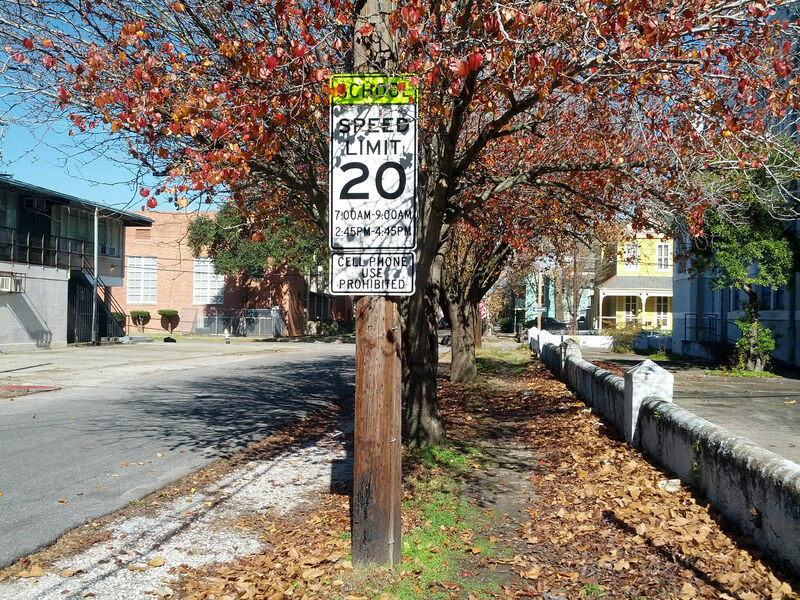 The posts originally came to light in the Irish Channel neighborhood Facebook group, where New Orleans resident Sean McCloskey posted a photo of a $75 ticket he received for driving 24 mph in a 20 mph school zone. Several other residents then commented that they, too, had received tickets, in spite of being under 26 mph. The city is not obligated to provide a cushion for drivers at all – but this sudden policy change without warning residents could present a problem for an administration that is already facing concerns over a lack of transparency. The most recent concerns stemmed from Cantrell’s promotion of Shaun Ferguson to Superintendent of the New Orleans Police Department while failing to release any information about her requirements or decision-making process. Believing politicians who say they don’t want speed and/or red light cameras to be for-profit rackets is almost always wrong. The only politicians who don’t want the cameras to be for-profit rackets are those that successfully lead the local officials to ban the cameras entirely and have them all removed.